The background of the Cover shows scripts of the Meroitic Kingdom (800 BC-350 AD) reflecting the old civilization of Sudan [http://en.wikipedia.org/wiki/Meroe]. Meroë (located approximately 600 km north-east of Khartoum) was the southern capital of the Meroitic Kingdom which had strong iron industry and international trade involving China and India. 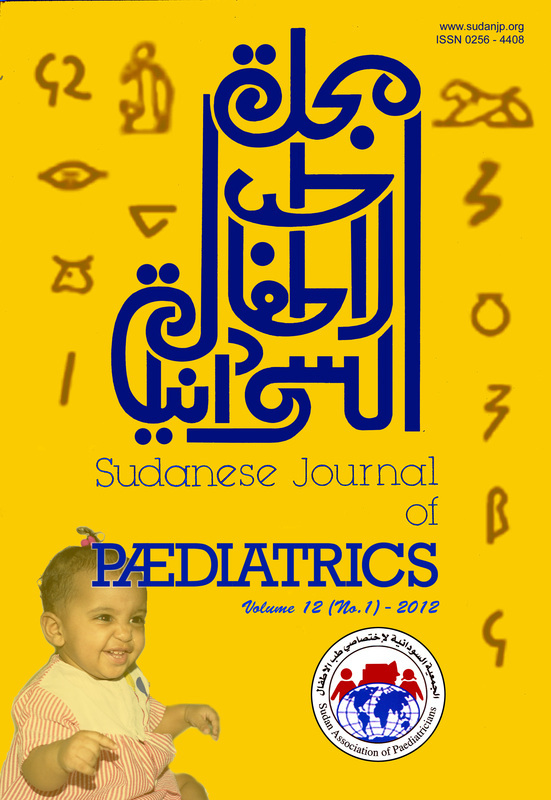 The current main culture of Sudan is represented by the Arabic script of the “Sudanese Journal of Paediatrics”. The script was designed by Taha El Atta, PhD in 1984 at the Sudan University, College of Fine Arts. A smiling Sudanese baby is showing index finger approach, a sign of healthy cognitive development. The Cover features the happy conjoint twins Ritaj and Rital, who were born at Soba University Hospital in Khartoum, following their successful separation at Great Ormond Street Hospital in London (see Case Report , page 73-76). The background shows scripts of the Meroitic Kingdom (800 BC-350 AD) reflecting the old civilization of Sudan [http://en.wikipedia.org/wiki/Meroe]. The Meroitic Kingdom, which had strong iron industry and international trade involving China and India, had its southern capital in Meroë (located approximately 600 km north-east of Khartoum). The Arabic script of the “Sudanese Journal of Paediatrics” represents the current main culture of Sudan. The script was designed in 1984 by Taha El Atta, PhD at the Sudan University, College of Fine Arts.